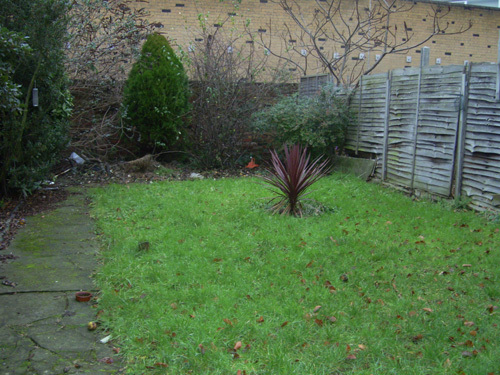 This recording site is a domestic garden in Watford town centre. Although small, measuring only 14 by 7 metres, it contains a variety of habitats and serves to illustrate what can be found in what at first might appear to be an unpromising situation. 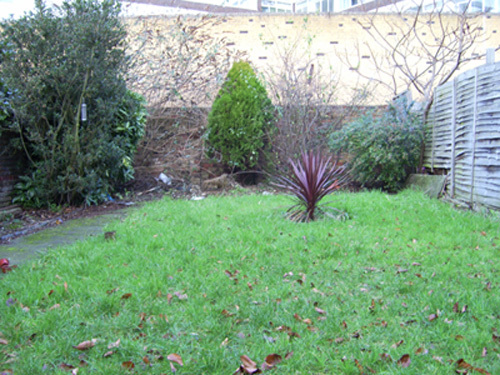 Most of the area is occupied by a lawn which is maintained using a rotary lawnmower so that a variety of wild plants can survive. e.g. Plantago, Trifolium and Taraxacum. Cuttings from the lawn are used to maintain a 'hot' compost heap specifically for sampling Coleoptera. Shrub beds flank the lawn on two sides and contain a mixture of species that might be found in any similar situation e.g. Viburnum, Buddleja, Chamomelia, Pieris, Arbutus and an ornamental Thuja. Leaf litter is allowed to accumulate so providing material for extraction. Various sampling methods are used throughout the year e.g. UV light, pitfalling, sweeping and beating. Yellow pan traps containing Brassica extracts (Cabbage traps) are left out in the summer and during the dryest times the lawn is occasionally vacuumed. The site is sheltered on all sides by brick walls and fences and on these sticky strips are occasionally attached. During 2007 carrion traps had to be abandoned following complaints from neighbours.